A nasty thunderstorm canceled my charter this morning which gave me time to go through some older photos. This is a shot of the last tarpon I personally hooked exactly nine months ago today, courtesy of my friend Tim Gleason from Pine Island. As a full time guide I'm usually on the wrong end of the boat, which means I average about one of these fish every year for myself at best. 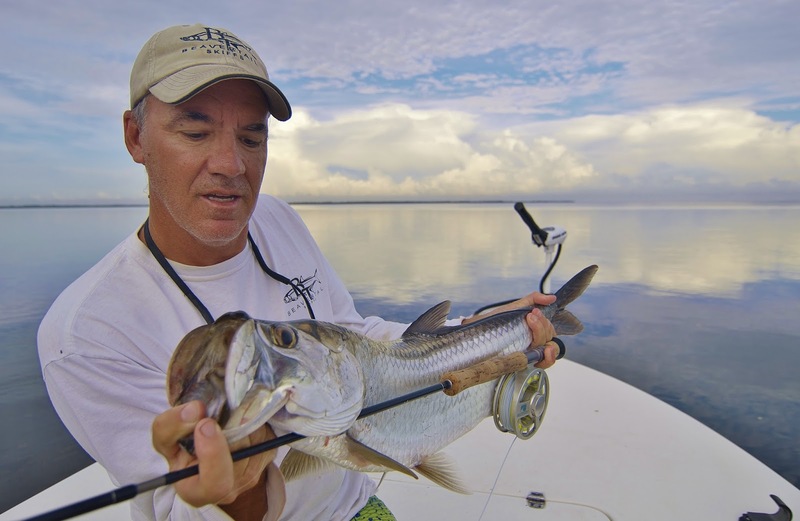 So far, I haven't even cast a fly at a tarpon in 2016, and probably won't be able to until sometime late next month. But there are plenty of them around right now, much bigger than the one in the photo, so I'm counting on a boating a triple digit fish sometime this summer. It's been over three years since I landed a tarpon that size so I'm way overdue.